Jam Night! 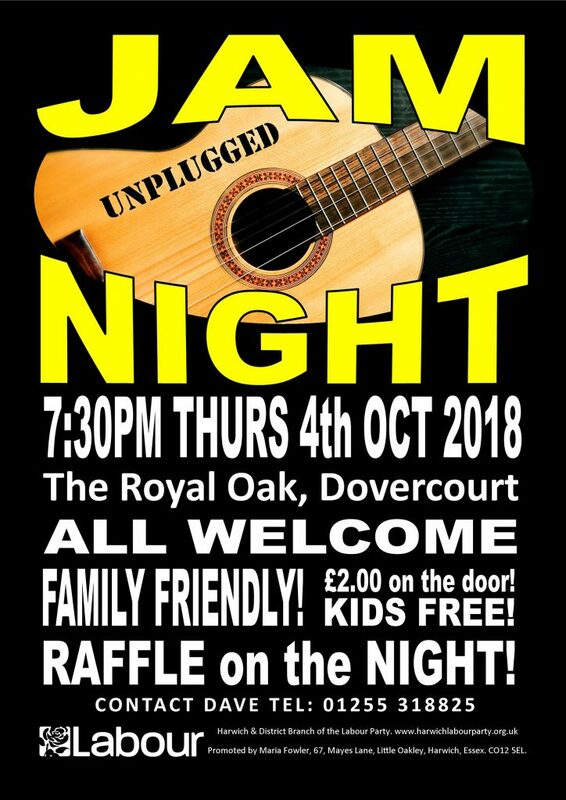 Harwich Branch Labour Party Fundraiser! Featuring our very own Rob Shephard, John McAllister and friends. FAMILY FRIENDLY! £2.00 on the door. KIDS FREE! This entry was posted in Event, Fundraising and tagged Branch, Fundraiser, Harwich, Jam, Labour, Music, Night, PARTY. Bookmark the permalink.